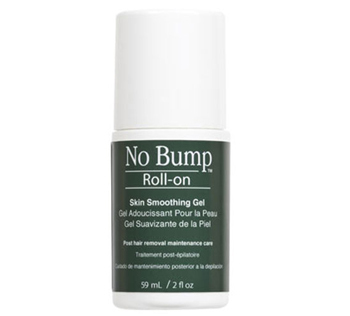 No Bump Roll-on is a mess-free, post-waxing, daily treatment that helps to diminish unsightly bumps, ingrown hairs and razor burn. Formulated to exfoliate and unclog pores after any hair removal treatment for soft, smooth skin. The fast, convenient, mess-free roll-on application is perfect for personal home use and travel. Makes a great retail product for salons.